The U.S. Patent and Trademark Office has reinstated three claims in an Apple patent it had earlier said it was minded to reject—but not the claim involved in Apple’s $1.05 billion dollar lawsuit against Samsung, according to documents filed by Samsung with a Californian court on Monday. The USPTO reexamined the validity of the patent at the request of an unnamed party. Apple’s “list scrolling and document translation, scaling, and rotation on a touchscreen display” patent describes a way to show an area beyond a document edge, indicating the end of a scrollable document on a touch-screen device. When a user reaches this edge and stops scrolling, the screen snaps back to the nearest display area that was left. The patent is also known as the “rubber banding” or “overscroll bounce” patent. In October the USPTO tentatively rejected all the patent’s claims in a document called an Office Action. Samsung’s lawyers welcomed the USPTO’s latest ruling in a court filing Monday. “This Final Office Action by the USPTO is relevant because it finally rejects multiple claims of the ‘381 patent as being anticipated,” they said in a filing with the U.S. District Court, Northern District of California, San Jose Division, on Monday. Claims 14, 17 and 18 of the patent were confirmed by the USPTO, but claims 1-13, 15, 16, 19 and 20 were rejected. The rejection of claim 19 is especially important. 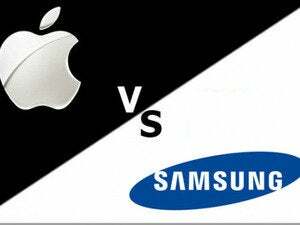 During the Apple/Samsung trial the jury found that 21 accused Samsung products infringed claim 19, Samsung said. “The jury awarded damages as to 18 of these products. Some, but not all, of these damages awards have been vacated for new trial,” Samsung added. The Galaxy S II, Galaxy Tab, Galaxy Tab 10.1 (WiFi), the Droid Charge and the Nexus S 4G were among the infringing devices, according to Samsung. The USPTO rejected several claims in the patent because there are earlier patented technologies that are similar. Apple’s overscroll bounce patent was anticipated by a patent that describes how to control content in a display invented by Luigi Lira , the USPTO said in the claim rejections. The patent was also anticipated by a patent entitled “continuous scrolling list with acceleration ,” invented by Bas Ording and others, that was assigned to Apple, the USPTO said. Ording is also listed as the inventor of the Apple’s ‘381 patent. While the USPTO’s ruling is described as a “Final Office Action,” Apple still has two months to respond. The final office action was mailed to Apple on March 29. It can also be appealed to the USPTO’s Trademark Trial and Appeal Board. 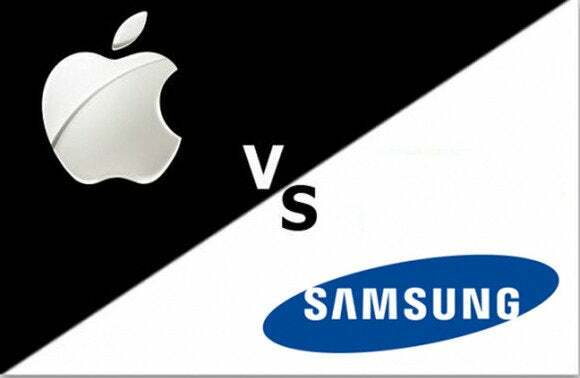 Apple has used the patent in various lawsuits against Samsung and other Android device manufacturers. Last year, the patent was one of seven used to convince a jury that Samsung devices infringed Apple patents. In that case, the jury ordered Samsung to pay Apple $1.05 billion in damages. On March 1, a judge ordered a partial retrial of that case, cutting hundreds of millions of dollars from the damages awarded to Apple.